You’ve heard the expression, the money is in the list. The pyramid illustration at the right shows the email list at the BOTTOM in green. That’s because it’s the base of your online marketing. And more email marketing tactics have been dispensed than Carter has liver pills, as the old expression goes. However, the method that I used to put over 199,500 on my email list is VERY different from what most people teach today. The video below exposes my offbeat email list building method that you very rarely see taught or used anymore on sales letters. Did you get an idea from the video? I’d appreciate any comments, or you sharing the video if you want to see more like it. The only way I know to produce more content on the same topic is by your comments, shares and likes. If you want more training on this topic, leave a note in comments. Many years ago my friend Jonathan Mizel trademarked the term name squeeze page. This is the most common method taught for email list building. But here’s what most people don’t realize: Jonathan is a media buyer. His email marketing tactic is to BUY WEBSITE TRAFFIC and send it to a name squeeze page. But my email list building method isn’t paid traffic. My website visitors come from my affiliates. MANY affiliates do not want to send their WEBSITE VISITORS to an email capture page. They don’t want someone scooping up their best customers for a one-time commission. Even affiliate programs like mine that pay commissions on repeat sales aren’t always attractive to them. Some affiliates simply have a policy of we won’t send website visitors to a name squeeze page. That means if you want to use affiliates for your email list building, you need another plan. Some people use an exit pop on their sales letter as a name squeeze. But again, affiliates are wise about these things, and some just don’t along with it. Some do. Some don’t. 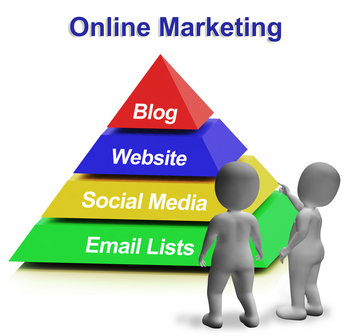 Another common list building method is to use a pop-up on blogs and sales pages as a quasi NAME SQUEEZE PAGE. All the same problems and objections apply. Because of the issues pointed out above, I developed another way to get people to subscribe to my email list, usually without name squeeze pages. And while I do sometimes use pop-ups on sales pages or exit pops, I also have at times offered affiliates “pop-less” pages. But the way I made my email list building totally rock is a method you almost NEVER hear taught! If this video helped you, or you want more training on the topic, leave a note in comments and share on Facebook and Twitter. PS: If you want to take the first step towards email list building, then why not check out my newly updated Promo Dashboard? It’ll walk you step-by-step through all the basics.